Unfortunately, student loan borrowers in default on federal loans are experiencing tax intercepts around this time of year, sometimes for the first time ever. Some tips: 1) if we can cure the default before your taxes are filed and the intercept occurs, we can stop it from ever happening; 2) if you can’t cure the default, there is a 20 day period to request a hearing, but ultimately unless you are completely destitute they will be able to keep your tax refund. We recommend that if you know this is coming, delay filing your tax return and request an extension until you can cure the default. Curing a default in federal student loans does not mean you have to bring it current and pay all missed payments. Instead what we do for clients is negotiate a rehabilitation plan or sometimes a consolidation of certain loans to cure the default. Often the payments to rehab a loan are as little as $5 and it does take into account your income and expenses. We have a very thorough budget we like to use in negotiations so the debt collector can see what your true disposable income is. You can also stop a tax intercept by filing bankruptcy. If you have have enough personal property exemptions, you would be able to keep a portion or the entire tax refund. Filing a bankruptcy petition before the offset activates causes the automatic stay to stop all collections even those initiated by the federal government. If you aren’t able to stop a tax intercept at least know that 99% of it will be going to the principal and interest — only approximately 1% goes toward a collection fee. 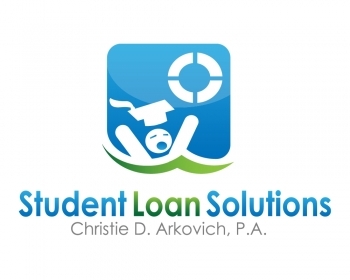 Please see our Student Loan Survival Center for additional information and feel free to contact Christie D. Arkovich, P.A. with any questions.